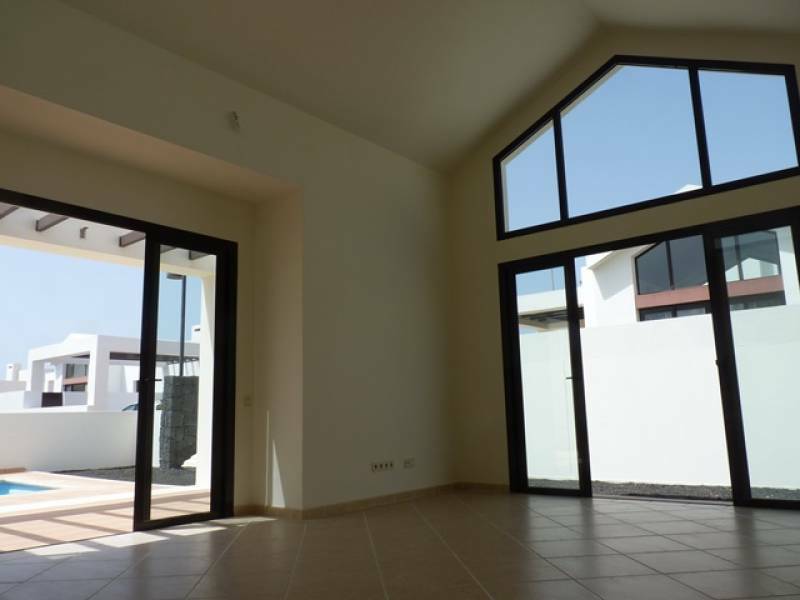 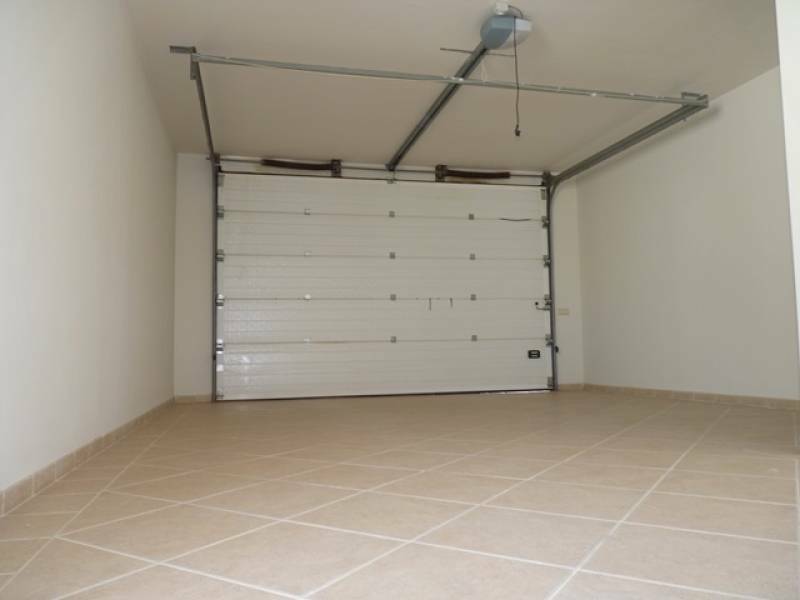 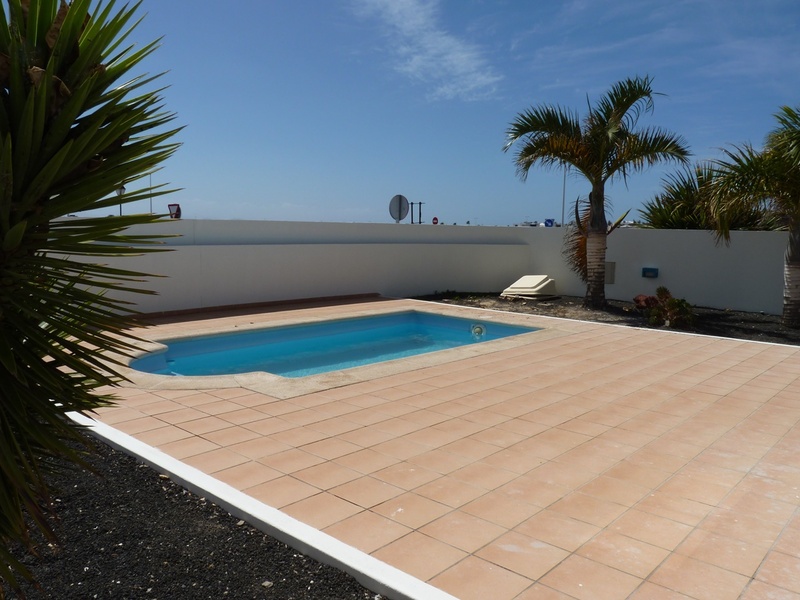 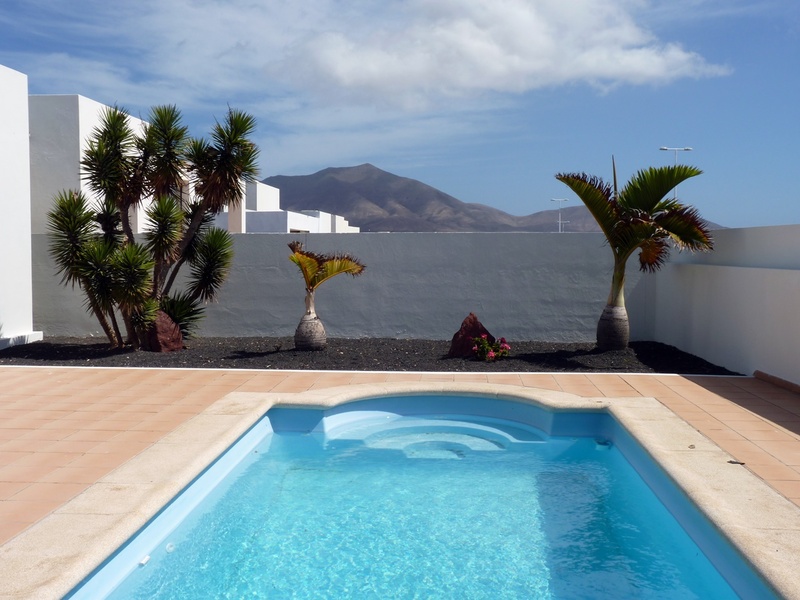 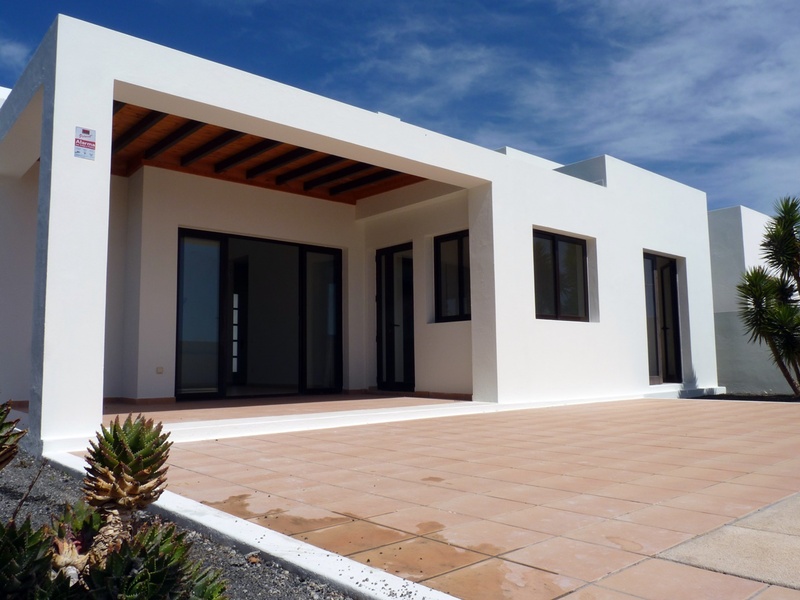 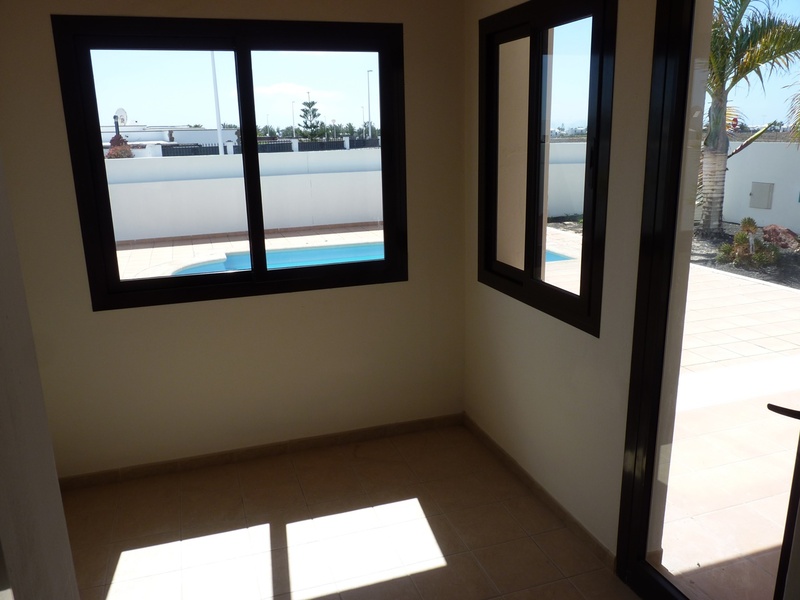 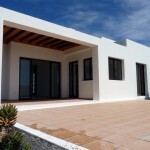 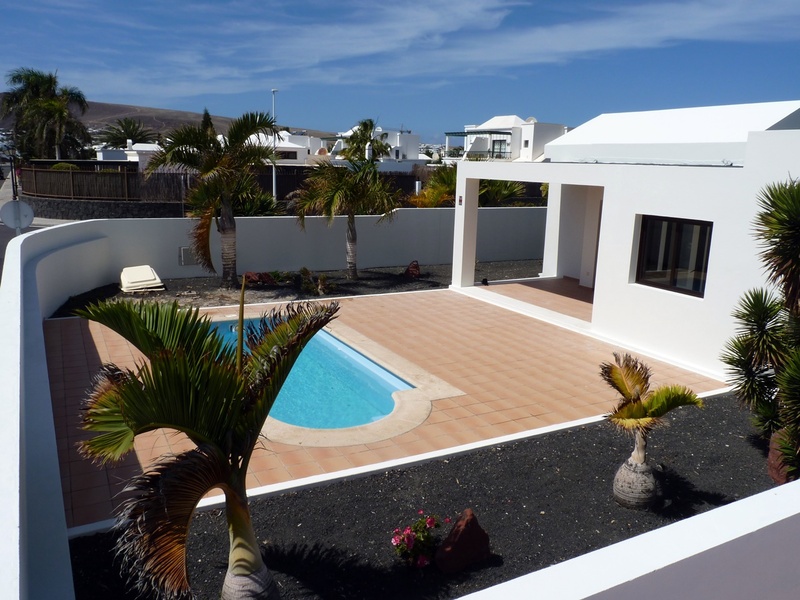 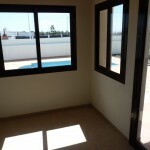 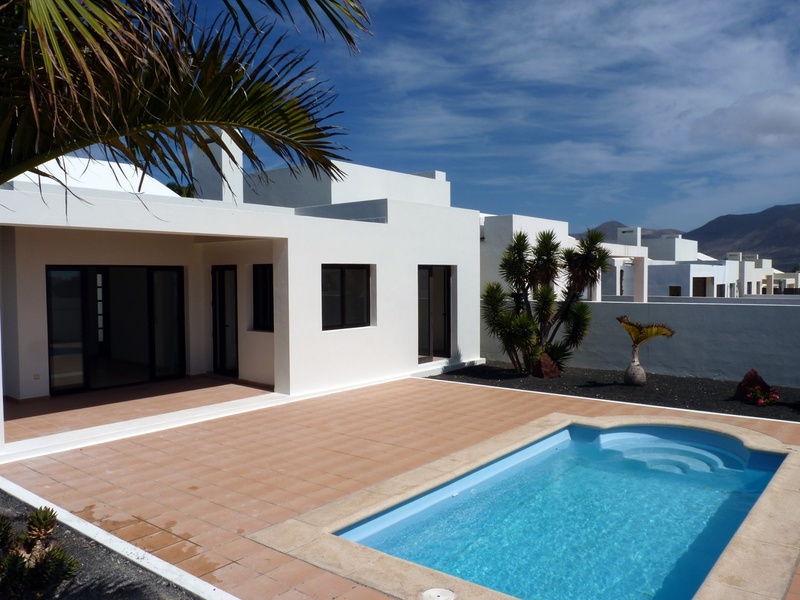 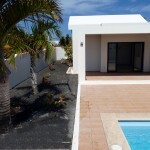 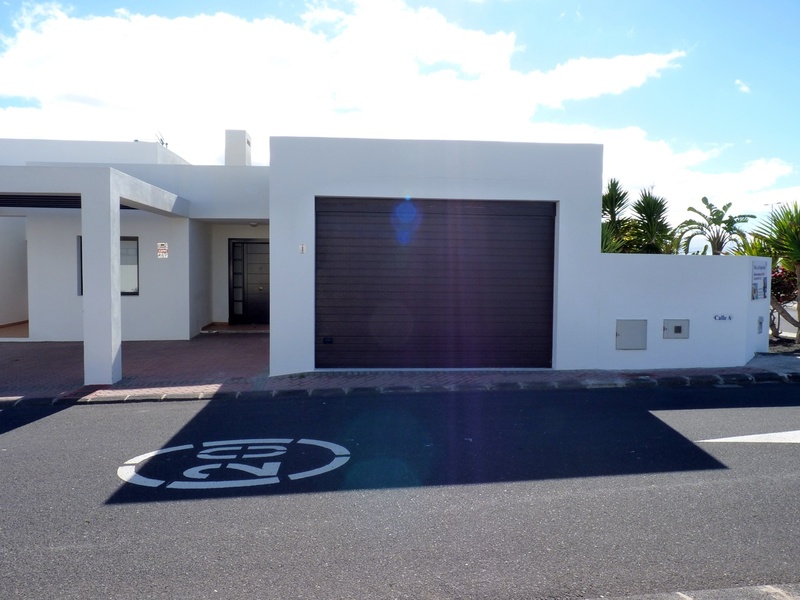 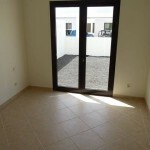 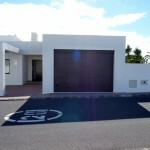 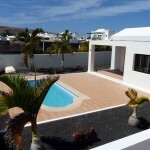 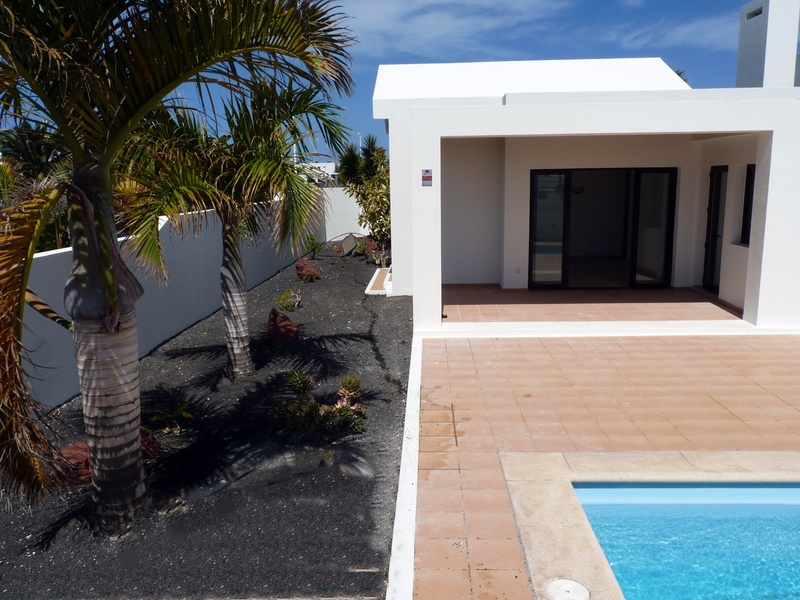 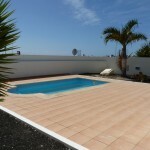 Modern Villa with private pool & garage located in a residential area of Playa Blanca. 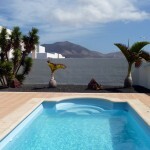 This town is situated in the south of the Island Lanzarote. 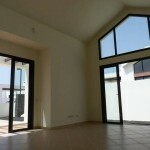 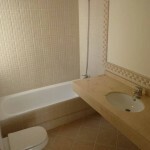 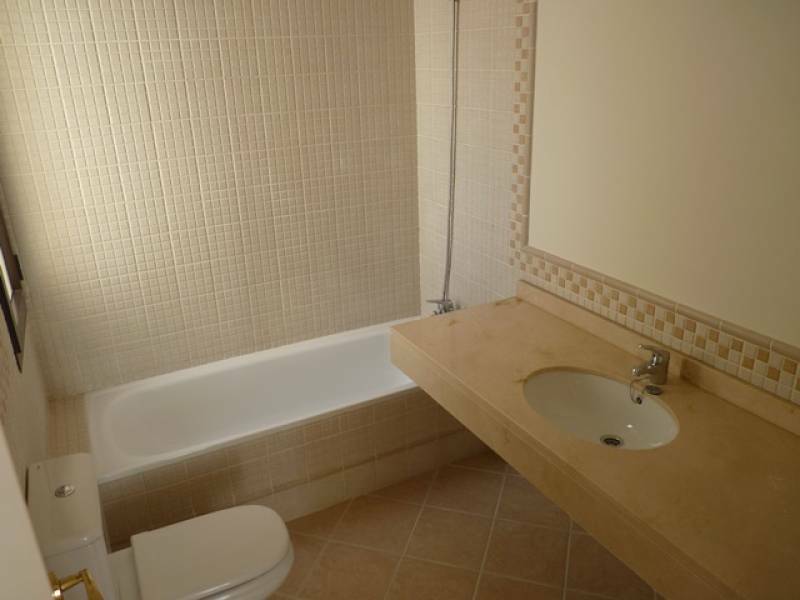 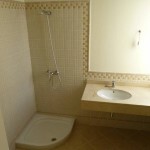 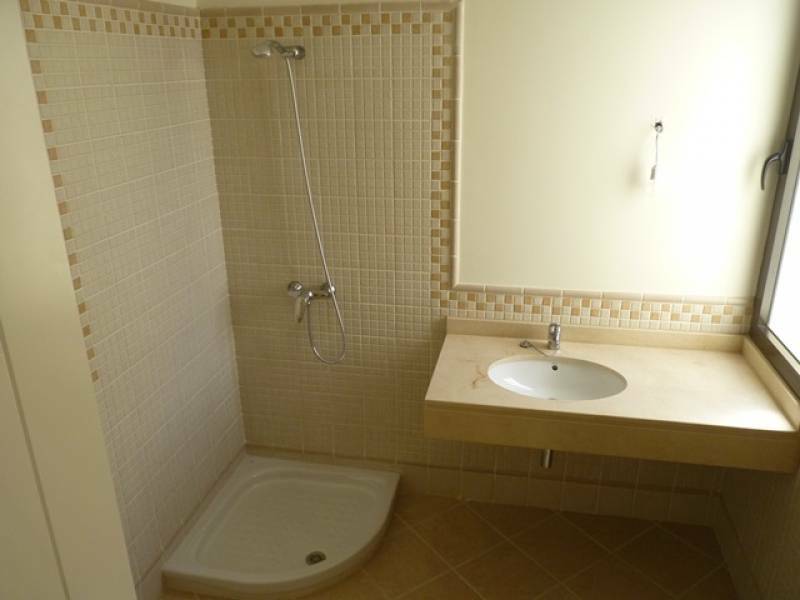 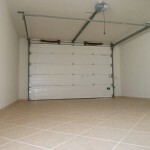 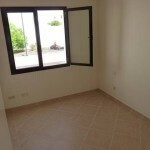 The property is well built with high- quality materials, in a modern style, with high ceilings and oversized windows. 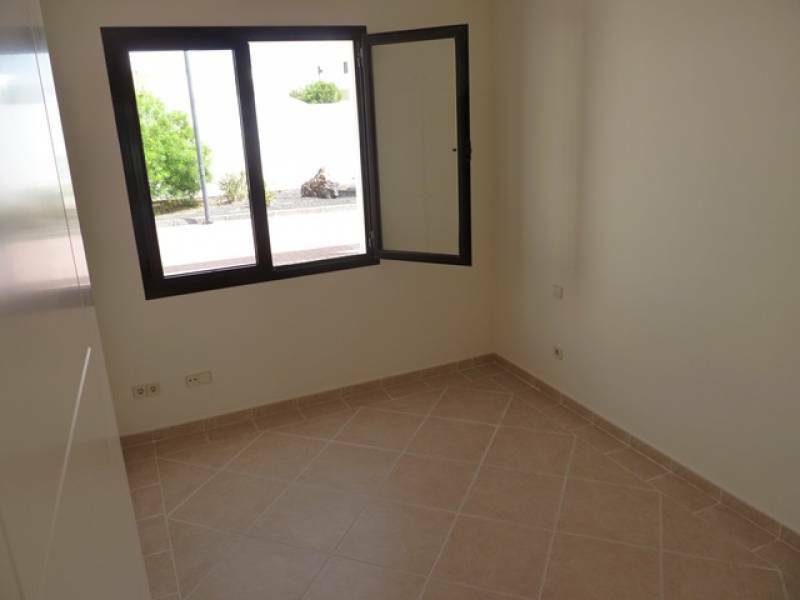 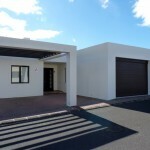 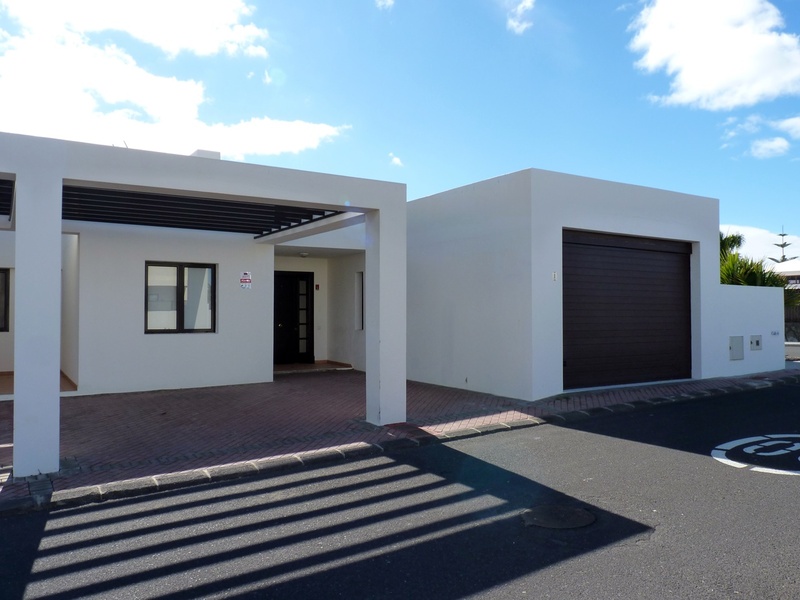 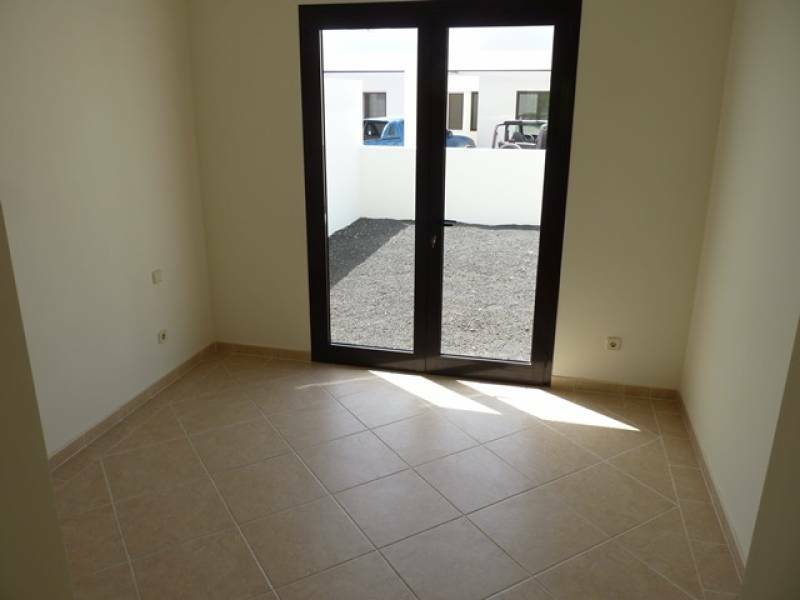 Consist of living and dining area, 3 bedrooms, 2 bathrooms, independent kitchen, entrance hall, terraces, garden and a large garage.